Accents of Nature Landscaping, Inc. is a locally owned and managed landscape design-build company serving Southeastern Pennsylvania and Northern Delaware, specializing in creating unique landscapes with a focus on natural materials, native plantings, healthy ecology and sustainability. Accents of Nature also offers full-service residential and commercial property management and maintenance. All your outdoor needs solved with just one call! 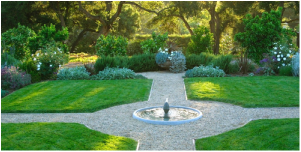 Our guiding principle is to create landscapes that are environmentally sound, water-efficient, require less maintenance, and reduce the use of fertilizers and chemicals. Accents of Nature Landscaping, Inc. knows how to design, build, nurture, and maintain your property. We provide landscape design and build services in Chester County and Delaware County Pennsylvania, and New Castle County Delaware. The design and build process starts with a dialogue about your desires for the property. Your outdoor living dream is designed and drafted on paper, then constructed into a beautiful reality. Spend your valuable time enjoying your outdoor investment by choosing Accents of Nature's maintenance program. We offer a full range of services and options to care for your landscape. 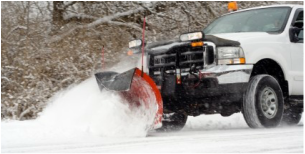 Our snow plowing fleet is ready to tame the winter beast so you don't have to. We are prepared to plow, melt, haul, and pile whatever Mother Nature throws your way. Click here to request an estimate!